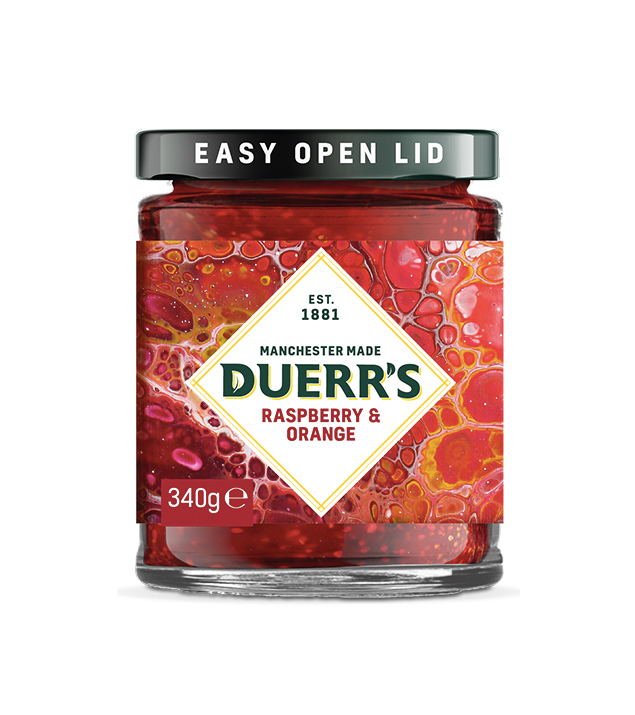 Our Raspberry & Orange Jam is filled with the juiciest fruits for maximum flavour. Manchester’s vibrant culture and the colourful scene of the Northern Quarter have been the inspiration for Fine Art student Jennifer Taylor and her acrylic pour paintings. Jennifer’s label design was born from an exploration of materials and the mix of harmonious colour schemes, forming a liquid aesthetic which complements the raspberry and orange elements of the jam.